This expandable patch panel mounting brackets are ideal for small spaces. 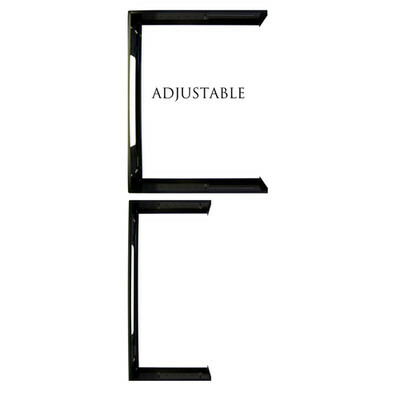 These brackets mount to the wall, saving valuable floor space. They come with a hinged mount to allow easy access to the backside of the patch panel. The bracket is expandable from 9 inch to 14 inch deep allowing enough room to mount most switches and patch panels. They are available in 1U, 2U, 4U and 8U sizes. This model is 8U.